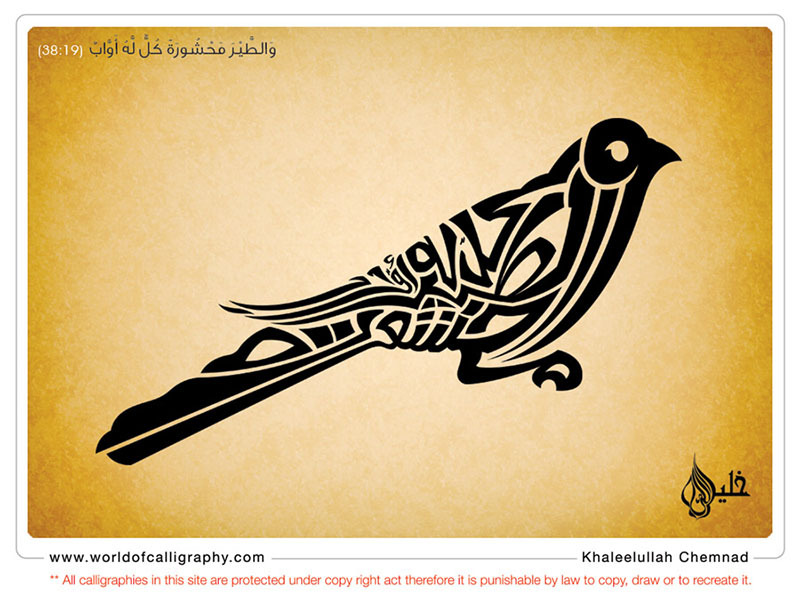 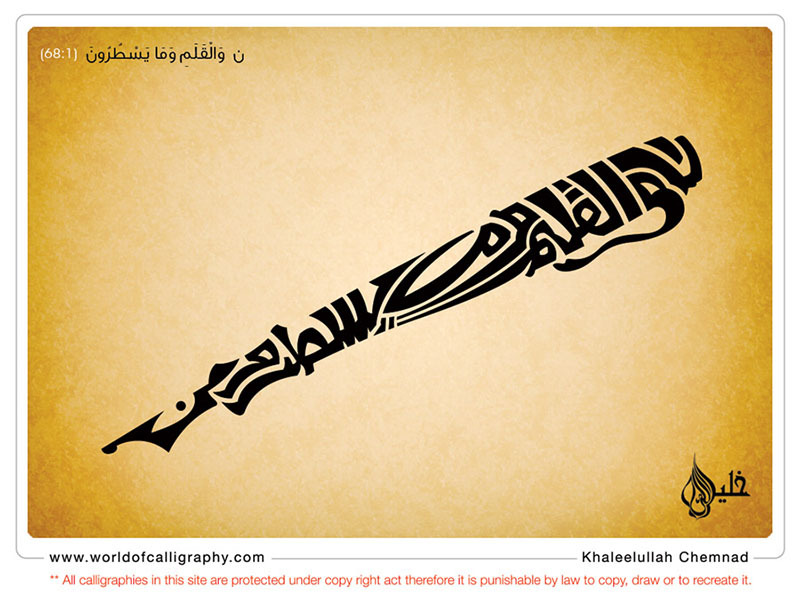 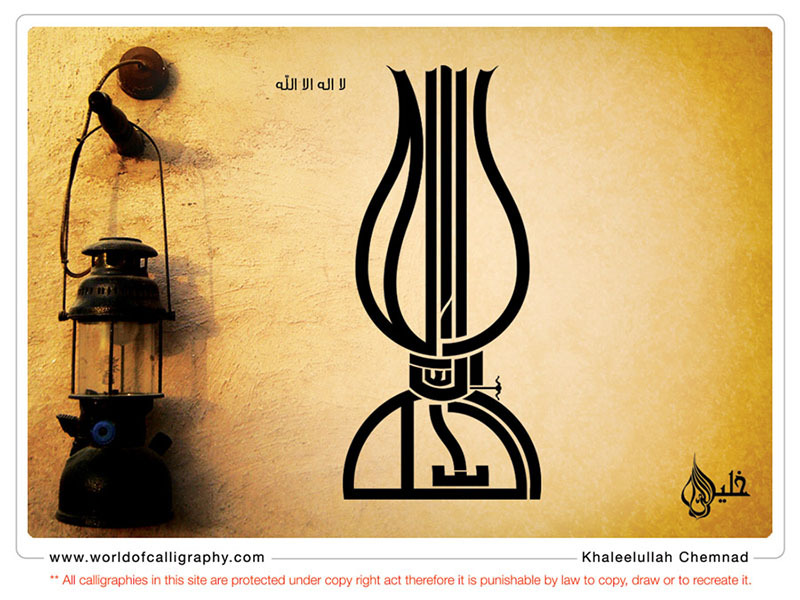 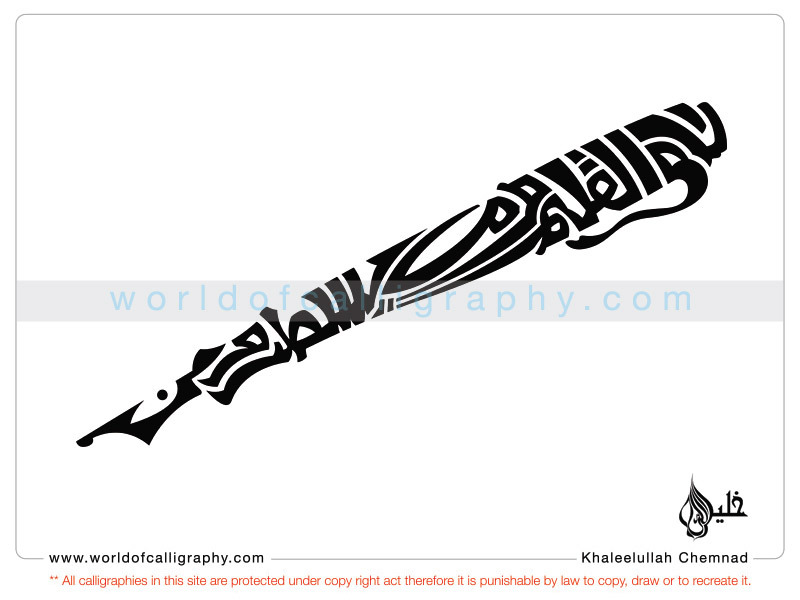 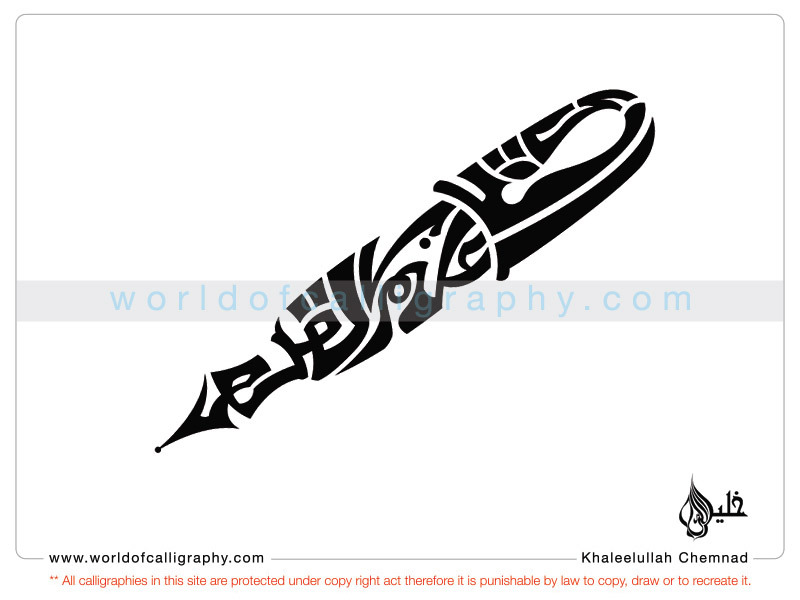 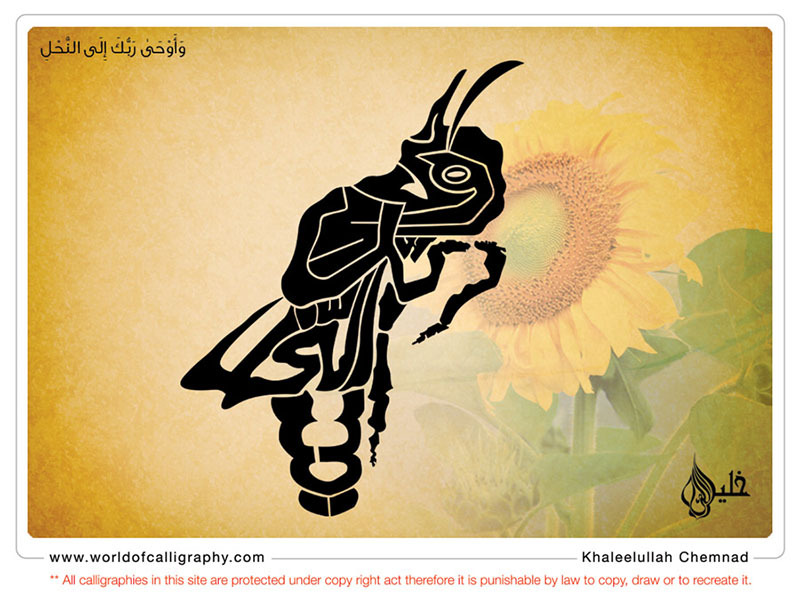 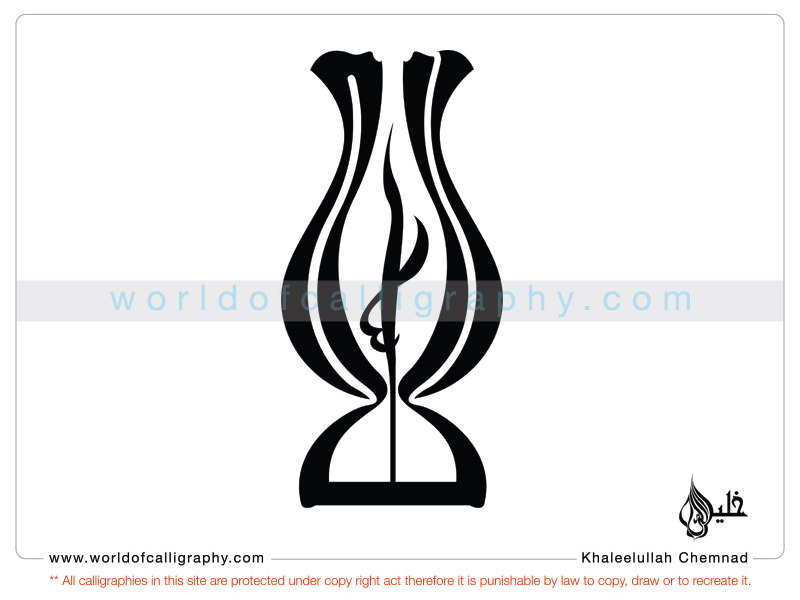 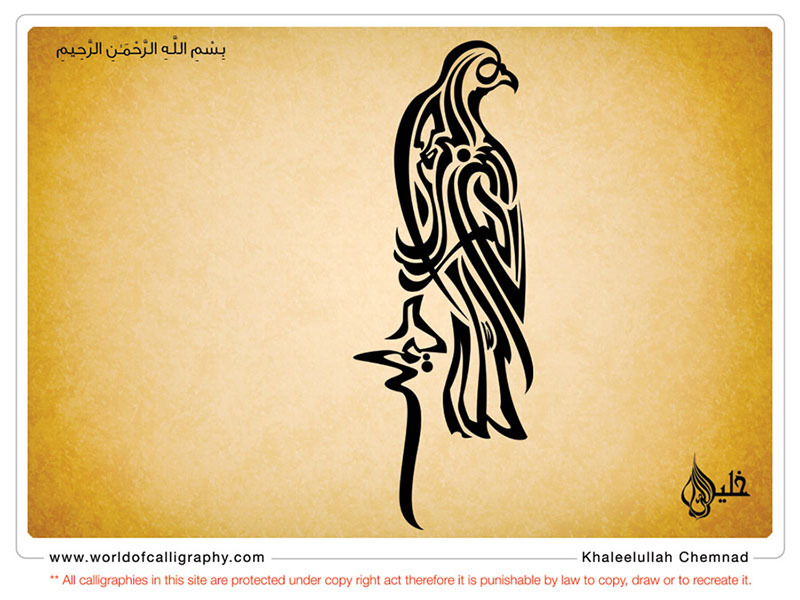 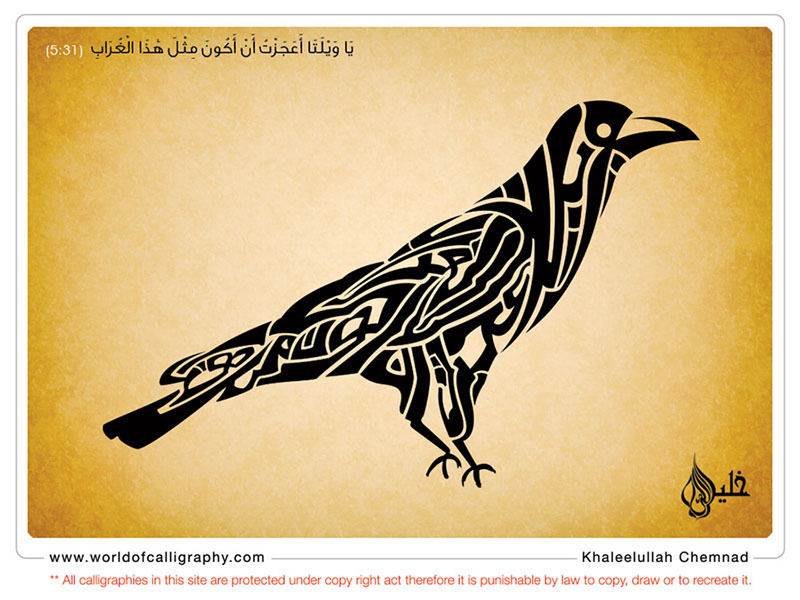 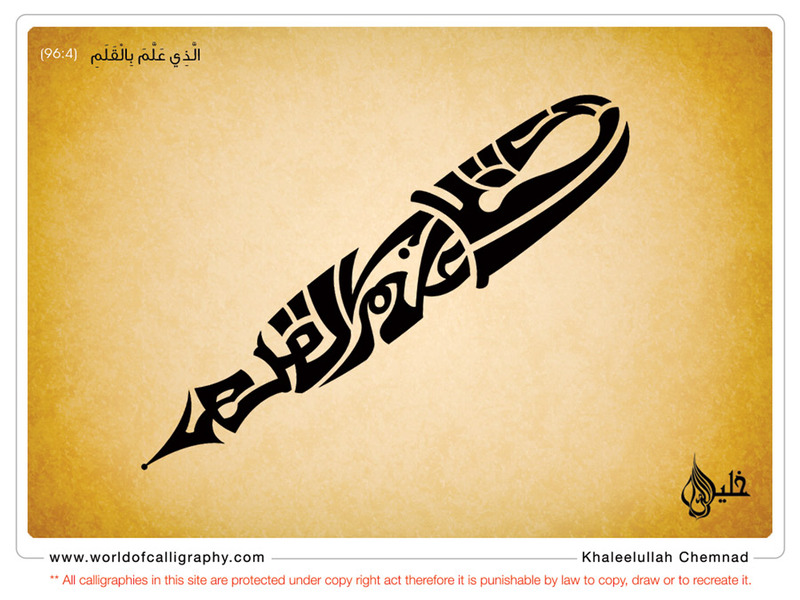 Calligraphy from the Holy Quran verses as pictures that carry its meaning. 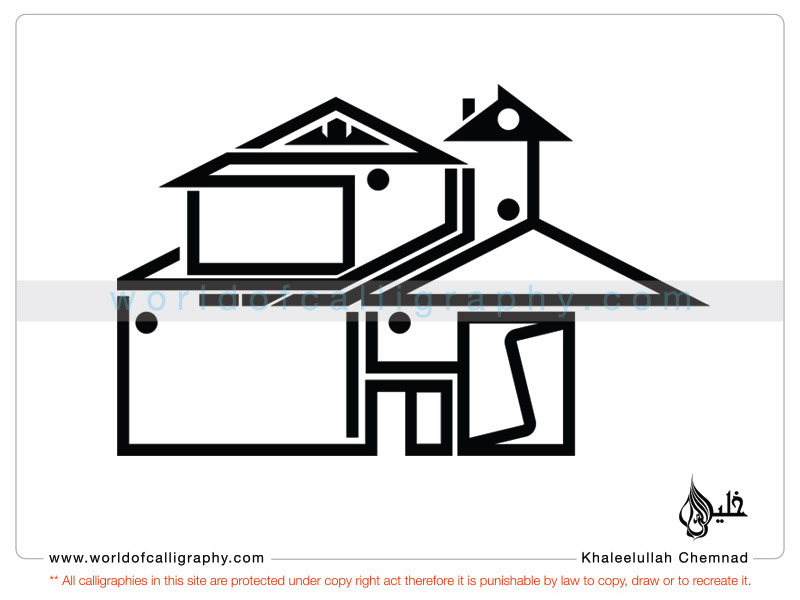 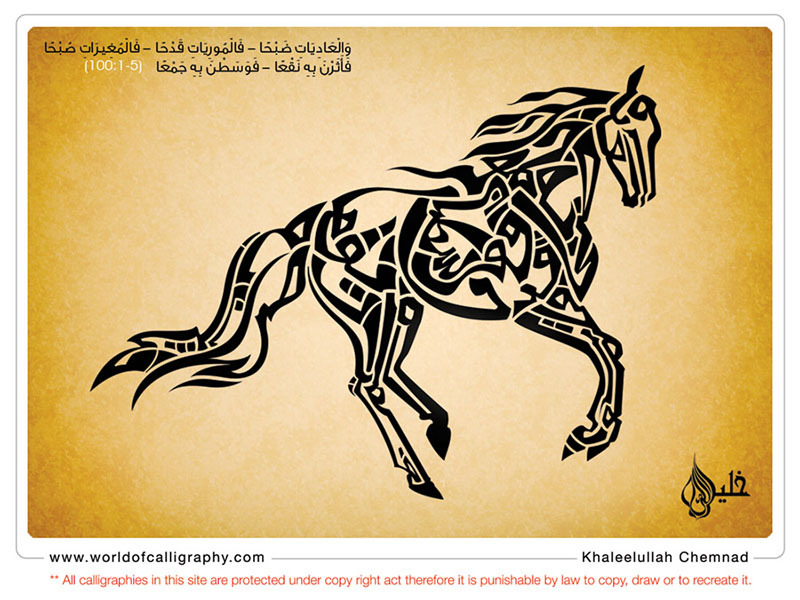 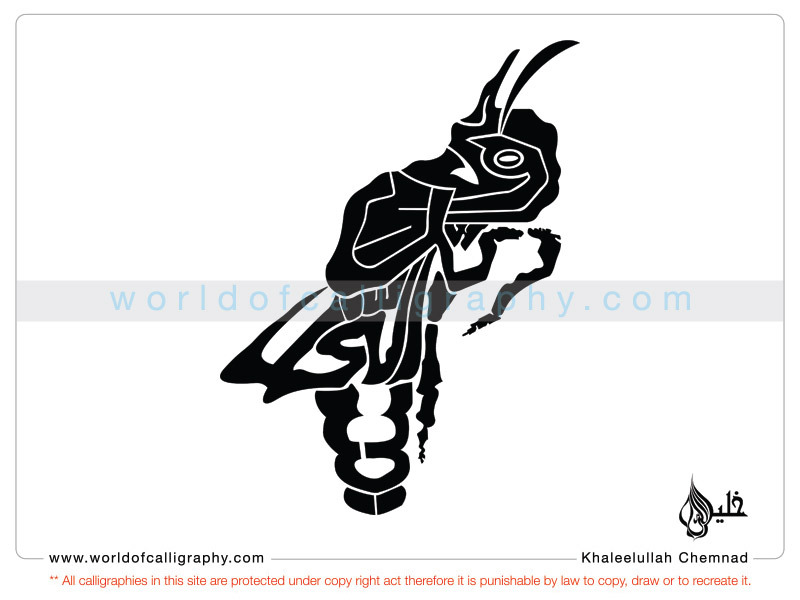 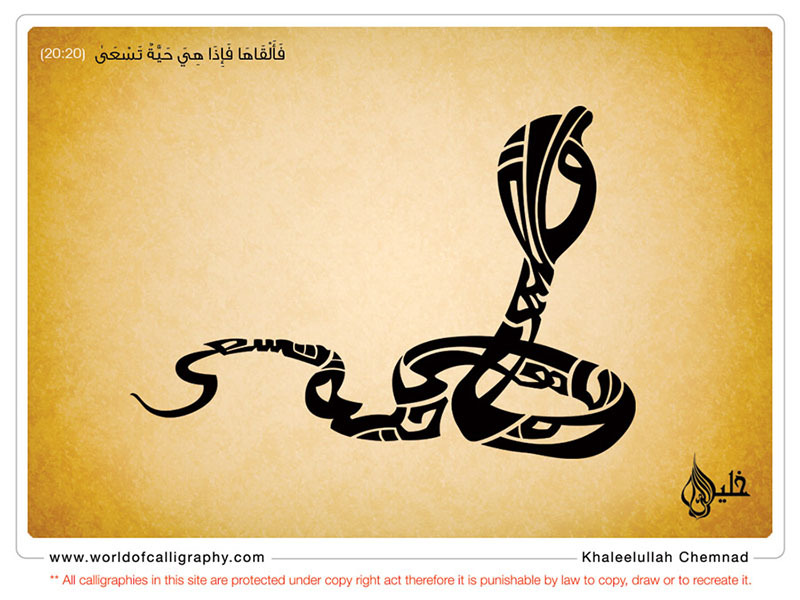 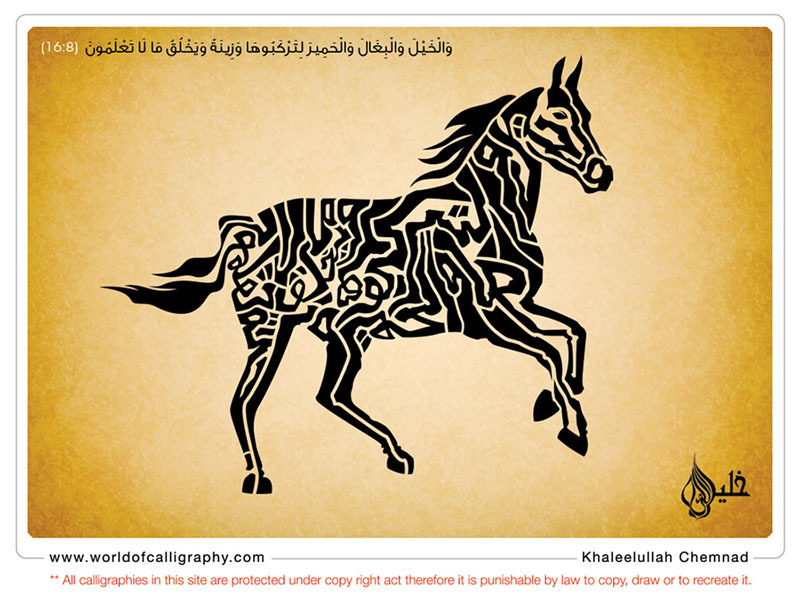 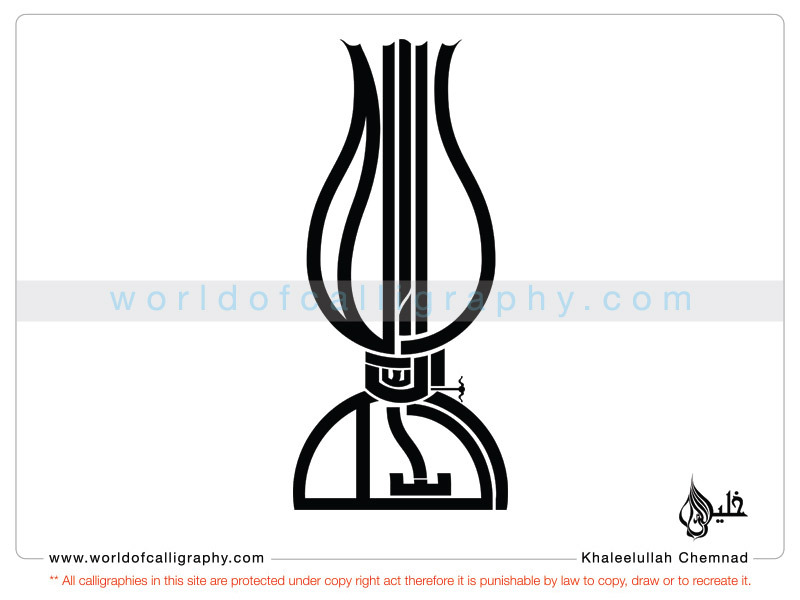 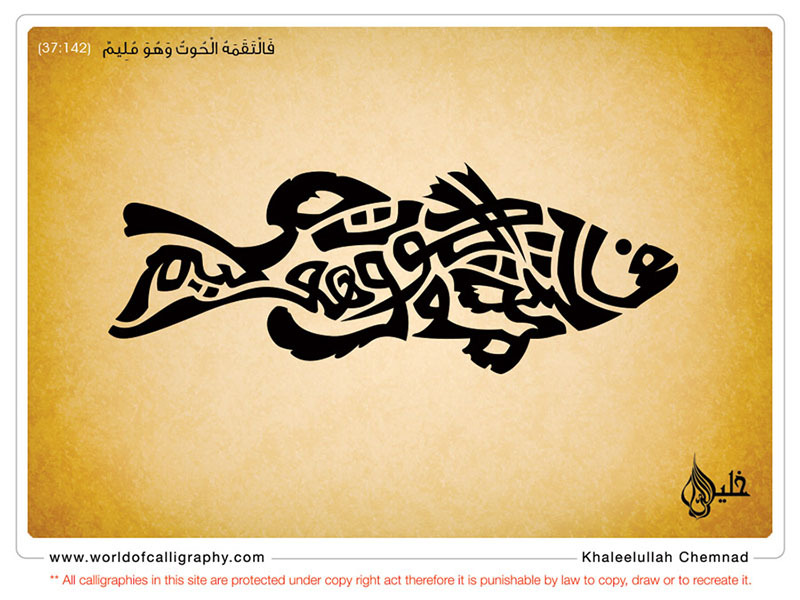 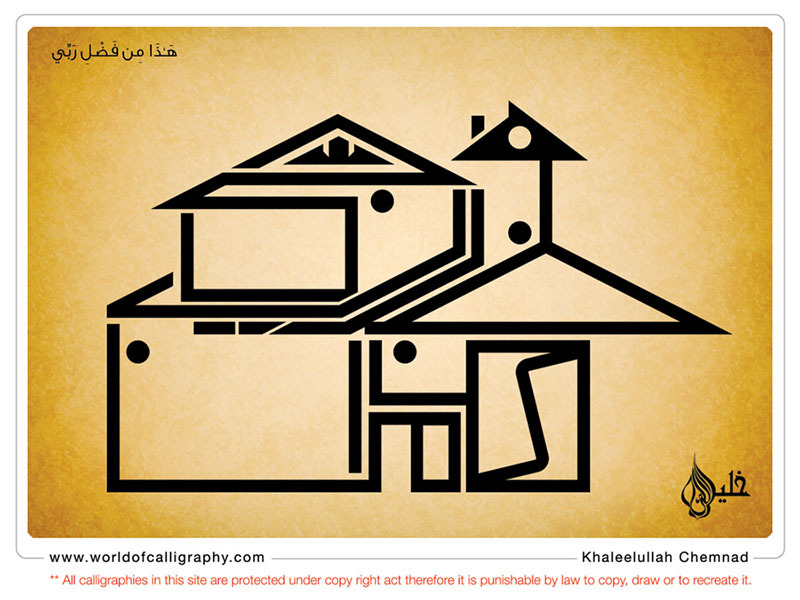 Khaleel started his calligraphic works by drawing verses from the Holy Quran as pictures that carry its meaning. 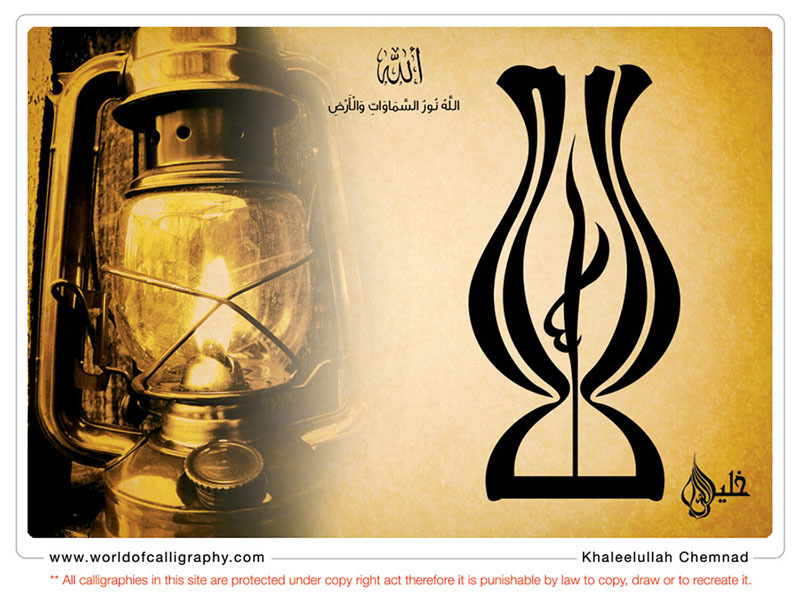 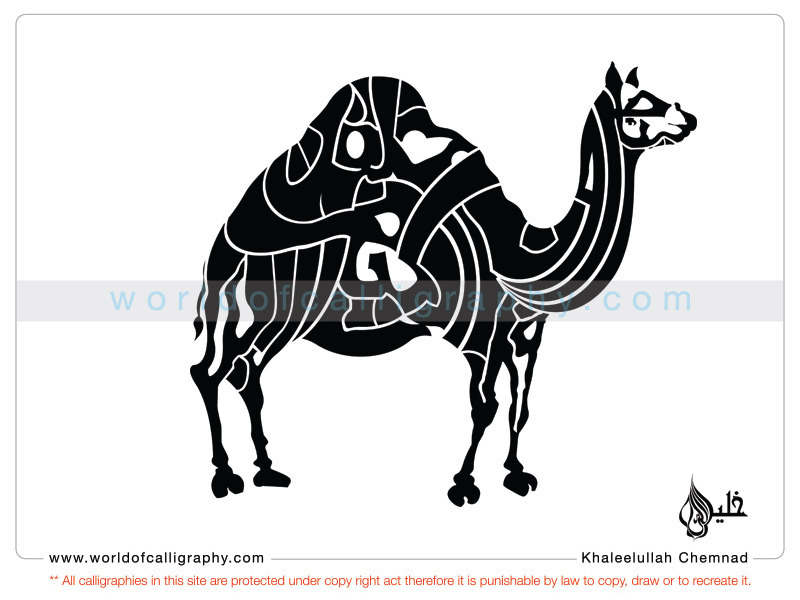 there are many other famous works of khaleel in which he drew the verses of Holy Quran using not only the letters of the verses, but also depicting the meanings through the image. 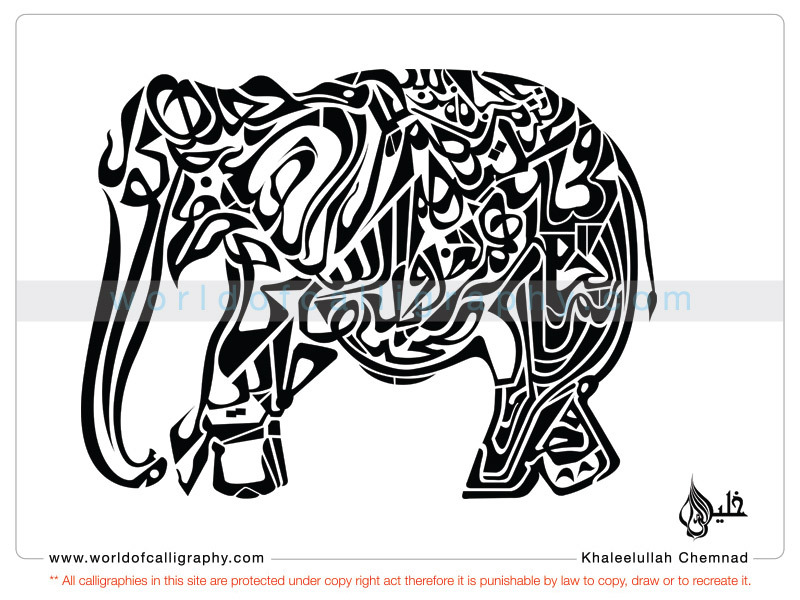 When he draw the chapter “Al Feel” (Elephant) of the Hply Quran, using all it verses, its become a picture of an elephant. 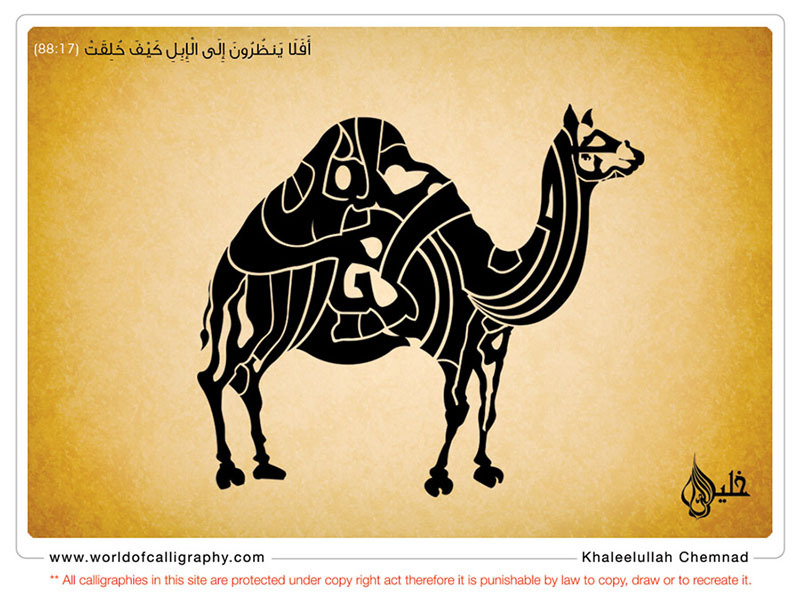 When he used the verse depicting camel in the Quran (أَفَلَا يَنظُرُونَ إِلَى الْإِبِلِ كَيْفَ خُلِقَتْ) it took the shape of the Camel. 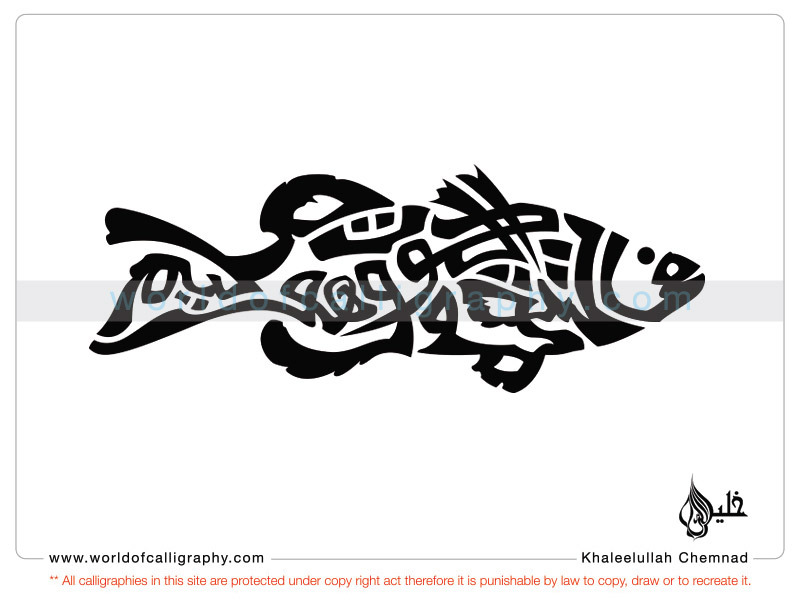 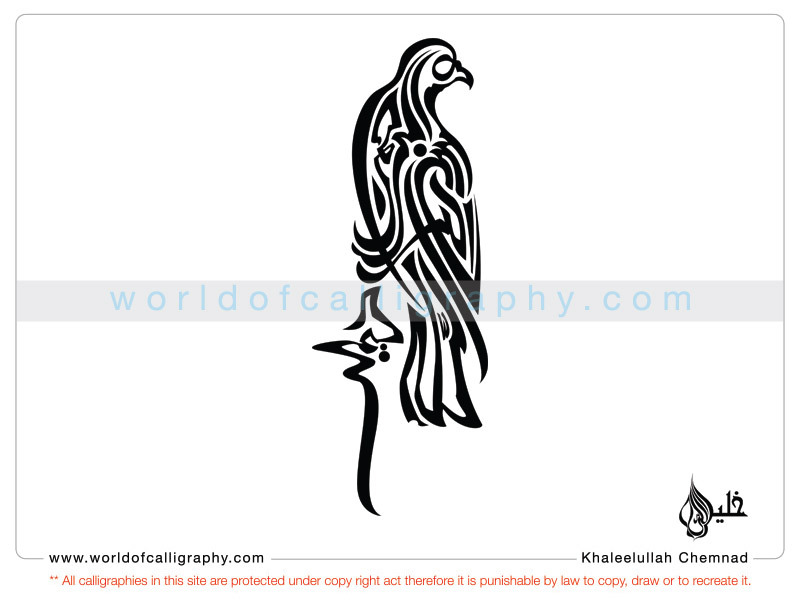 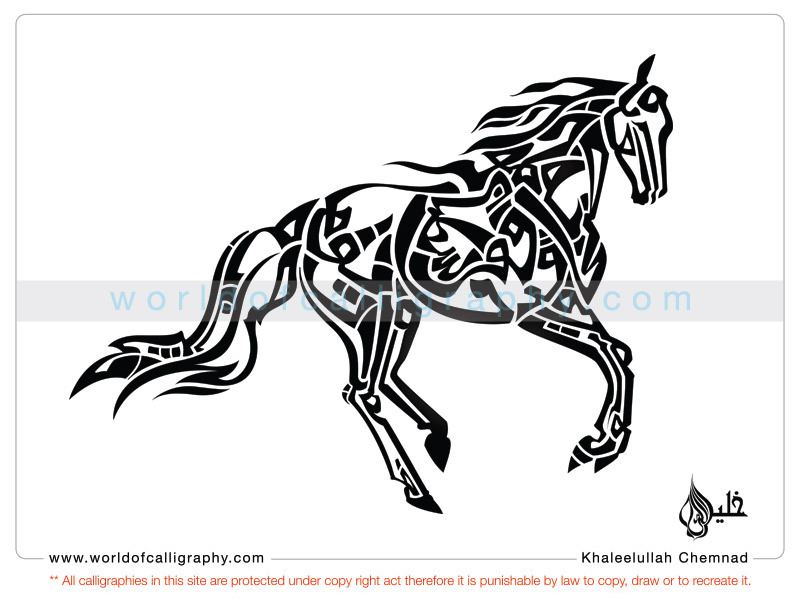 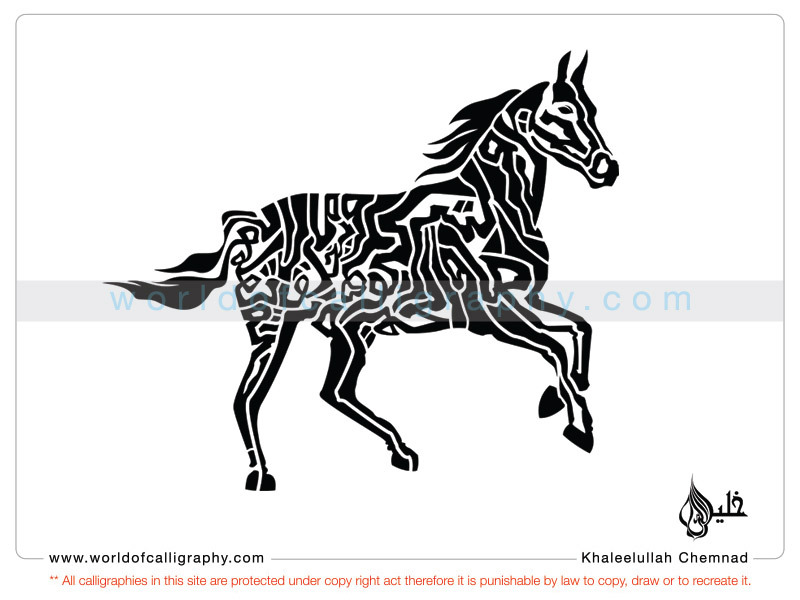 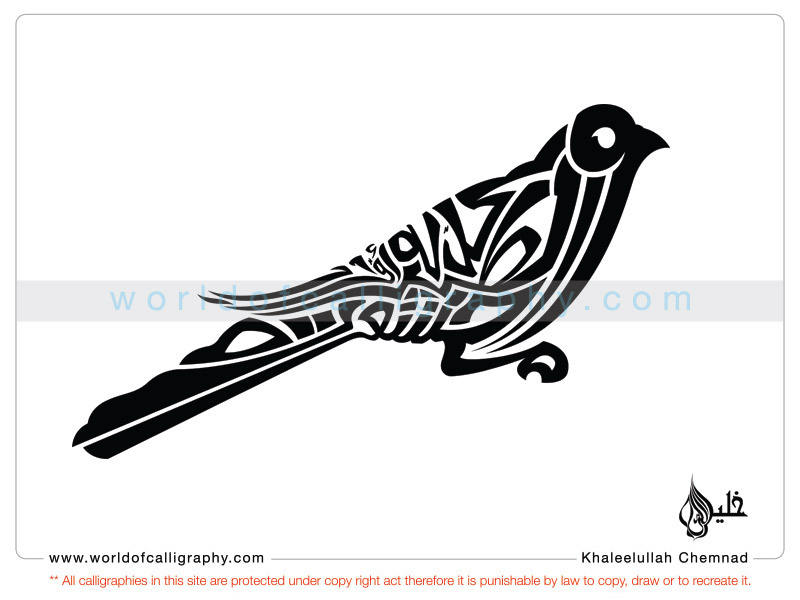 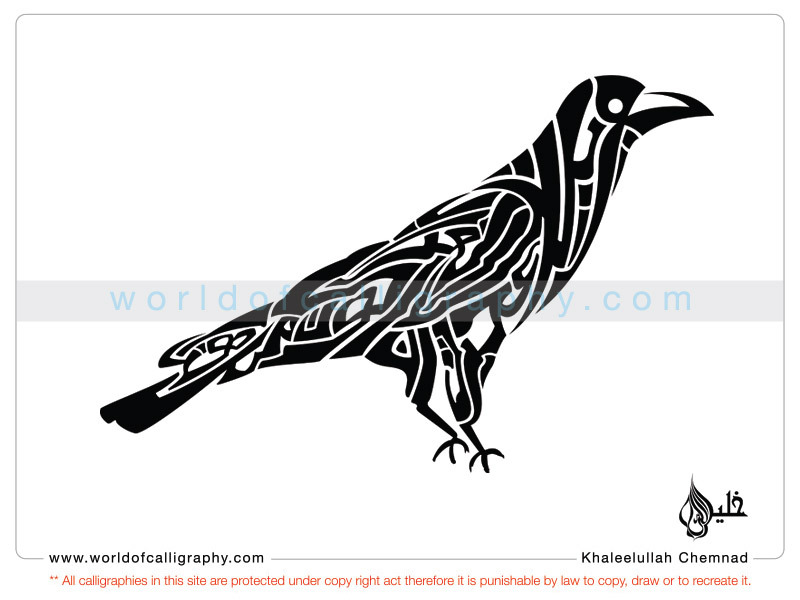 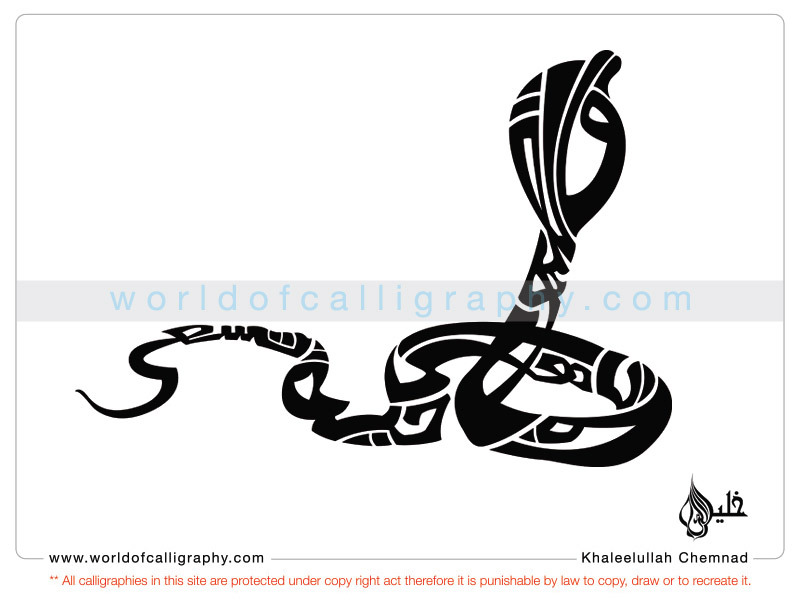 These works become the great examples of Anatomic style of Arabic Calligraphy. 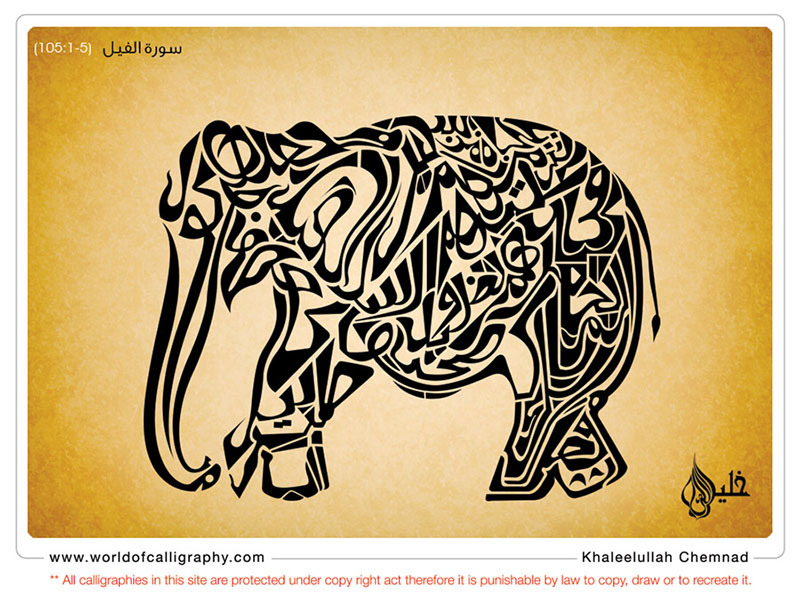 Most of his calligraphy are the shapes and imageries that form in these types of pictures.